The Tusk Oil Filter is designed to meet the demands of today high performance 4-stroke engines. The Tusk Oil Filter is a great replacement in place of your stock filter. With the Tusk Oil Filter you will get the high quality that you are wanting with out having to spend a lot. The Tusk Oil Filter will give your machine the same performance that your stock oil filter or the higher end name brand oil filters give, so try out the Tusk Oil Filter, you won’t be disappointed. 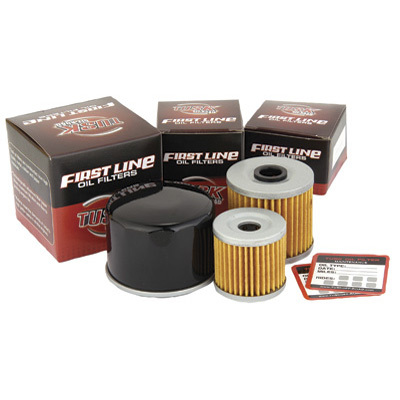 Oil filters are constructed from high quality metal, rubber, and paper materials. Technologically advanced filter paper allows maximum filtration and flow to prolong engine life. Made to meet the demands of today's high performance 4-stroke engines. Includes a free maintenance decal that adheres to crossbar pads, fenders, fork tubes, etc.